ATECA (Art et Technique de l'Ameublement) company was created in 1985. Ateca has established an exceptional 24-year partnership with Philips and prides itself on being the leader in the conception and development of TV stands and AV equipment solutions. 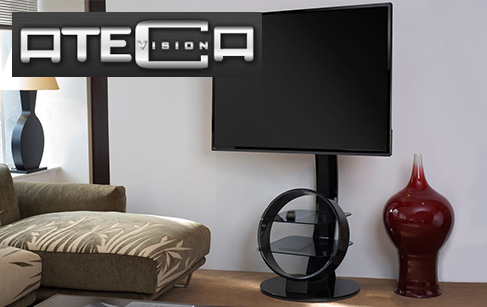 Our company has developed its activity with OEM TV manufacturers and distribution channels in the AV furniture market. Today, ATECA is a supplier to the specialist retail stores such as FNAC, DARTY, BOULANGER... and has also formed partnerships with most leading OEM TV manufacturers among which SAMSUNG, LG, PHILIPS... ATECA's products range attracts retailers from all over the world. Ateca is known worldwide for its expertise with traditional and innovative materials (metal, wood, plastic and glass...). Nowadays, ATECA exports its products towards 32 countries.